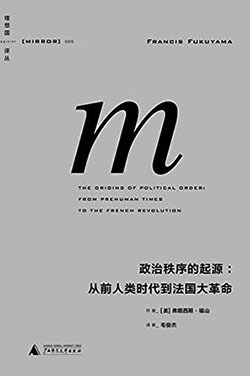 The book uses a comparative political history to develop a theory of the stability of a political system. A key theme of Origins is that a modern political order consists of a bundle of three separate institutions with distinct histories: State building, Rule of law, Accountable government. It begins with the evolution of human nature, briefly covers social evolution from foraging to agriculture to the earliest states, and then compares political evolution, in India, Islam, and particularly China and the West up to the eve of modernity. An American political scientist, political economist. He has been a Senior Fellow at the Center on Democracy, Development and the Rule of Law at Stanford University since July 2010. Fukuyama has written widely on issues in development and international politics.